It was a joy to host the Sunday Q&A with the braintrust behind the music of Disney’s new animated Moana, which I believe will be a big hit for the studio. 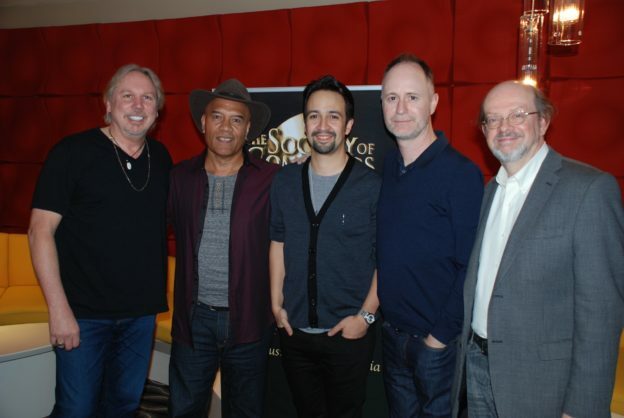 After the Society of Composers & Lyricists screening of the film at Pacific Design Center, I quizzed Tony-winning Hamilton genius Lin-Manuel Miranda, Samoan-born singer-songwriter Opetaia Foa’i, score composer Mark Mancina, and Disney music producer Tom MacDougall, about how the songs and score came about; about their commitment to authenticity in conveying the music of South Pacific cultures; and just how Miranda managed to juggle Hamilton and Moana at the same time. These guys were informative, candid and funny. 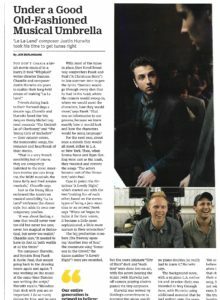 Here, incidentally, is the story I wrote for Variety about the songs and score. 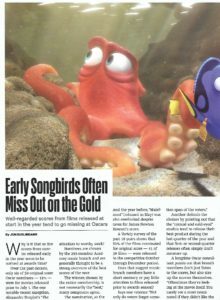 This entry was posted in and tagged Disney's Moana, Lin-Manuel Miranda, Mark Mancina, Moana, Moana songs, Opetaia Foa'i, Society of Composers & Lyricists, Tom MacDougall, Variety on November 15, 2016 by Jon Burlingame.